Assistance on licensing, printing permits, ISBNs for new titles, trade inquiries and more are available now to publishers in the UAE at a centralized resource hub located at Sharjah Publishing City. Taking a cue, perhaps, from the concierge service that the United Arab Emirates’ Sharjah Publishing City trade zone for the book industry in Sharjah provides, the Emirates Publishers Association—on February 25 reaching its 10th anniversary—and the country’s National Media Council have worked together to create a new One Stop Shop for publishers at Publishing City. 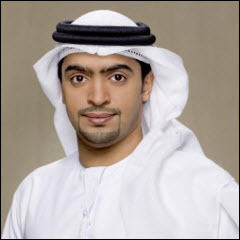 The news was announced Tuesday by Thomson Reuters Zawya in a report that covered the opening event at the new facility, which has been built and directed by Sharjah Book Authority chief Ahmed Al Ameri. 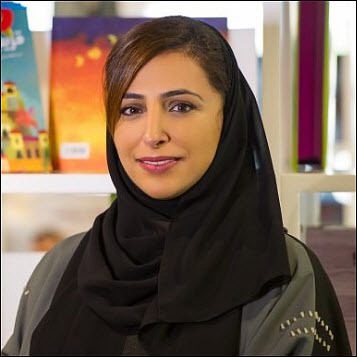 Presiding at the opening ceremony was Kalimat publisher Bodour Al Qasimi, who is not only the founding president of the Emirates Publishers Association (EPA) but, as of the start of this year, the first Arab woman to become vice-president of the International Publishers Association. Bodour was accompanied at the event by Ali Al Shaali, Ali bin Hatem, and Rashid Al Kous, respectively the vice-president, secretary, and executive director of the EPA, which has its own offices at Sharjah Publishing City. As quoted by Reuters, Bodour spoke about the rising professionalism and development of the country’s publishing community, saying, “The EPA follows a clear vision to grow the Emirati book market, boost publishing standards in the UAE, and advance the profession itself. The delegation from the National Media Council was led by the organization’s director general, Mansour Ibrahim Al Mansouri. He was accompanied by Rashid Al Nuaimi, Ibrahim Khadem, and Moza Al Falasi, who are the council’s executive director for media affairs, director of media content, and head of reading materials, respectively. Bodour reminds us that during the autumn, the Emirates Publishers Association signed a memo of understanding with the UAE’s ministry of culture and knowledge development, providing each publisher member of the EPA with 50 ISBNs free of charge. The administration of ISBNs, issuance of official EPA membership letters, and more from the EPA now are all accomplished at the One Stop Shop along with National Media Council services, which include getting and renewing publishers’ licenses, printing and text permits, book trading permissions, and more. More from Publishing Perspectives on Sharjah and the UAE’s publishing market is here, and on Bodour Al Qasimi’s work is here.